We have something for “kids” ages 1 to 99! 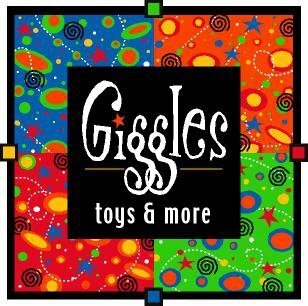 Giggles: Toys & More is a locally owned and operated specialty toy store located in the Gallatin Valley Mall. We’ve supplied toys and smiles for every child that’s walked through our doors for 17 years and counting. Our store is 4,000 square feet of wall-to-wall toys and games for kids of all ages. From babies to adults and every age in-between, we’re confident you’ll find what you’re looking for here. Contact our store in Bozeman, MT for more information about our kids’ toys. Your child deserves the best, and that’s exactly what they’ll get when you shop at Giggles. Whether you’re shopping for a birthday gift or celebrating your little one’s good behavior, you’ll find something that will put a bright smile on their face. Drop in today to see all we have to offer at our specialty toy store in Bozeman, MT. Be our guest—shop with us today! As a member of the American Specialty Toy Retailing Association (ASTRA), Giggles strives to provide you with the best quality toys for you and your loved ones. Customer satisfaction is our top priority. Our staff will go to great lengths to make sure you enjoy your shopping experience. We also provide free gift wrapping. You can call ahead or bring your gift to the register. Whether you’re a first-time visitor or a regular customer, we’ll be glad you visited our store. Get the perfect gift for your little one here in Bozeman, MT today! Copyright © 2019 Giggles: Toys & More, all rights reserved.